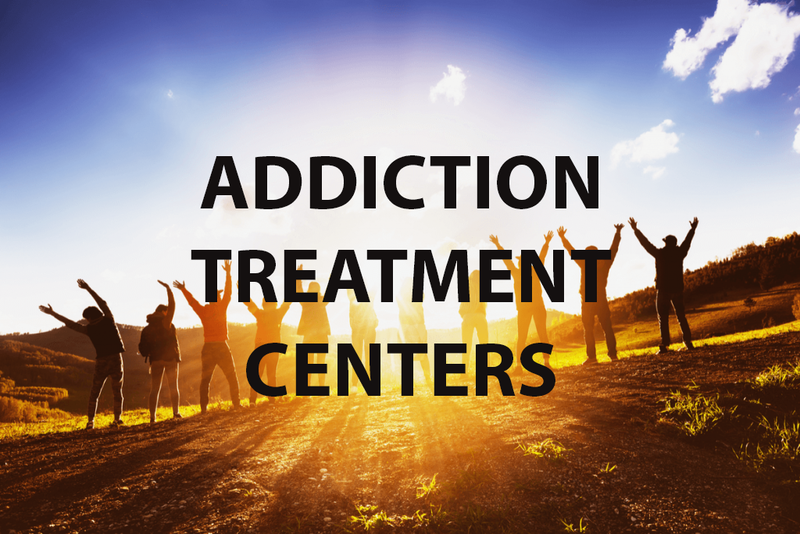 What is an alcohol addiction treatment center? An Alcohol Addiction Treatment Center is a facility where people that are addicted to the drug alcohol can go to receive alcohol addiction help. These alcohol addiction treatment centers focus on helping men and women recover from the biological, psychological and social effects of alcohol addiction. Alcohol addiction often described as alcoholism become recognized by the American Medical Association as an illness in 1956. In more recent years the American Psychiatric Association updated its Diagnostic and Statistical Manual of Mental Disorders DSM-5 describing different alcohol-related-disorders. The new name of alcoholism is now called Alcohol Use Disorder. Alcohol Use Disorder is a problematic pattern of alcohol use leading to clinically significant impairment or distress. Alcohol Addiction is a complex illness, that if left untreated can result in premature death. If you are struggling with alcohol addiction, it is advisable to seek out help from an alcohol addiction treatment center. One of the nations best alcohol addiction treatment centers is called Summer Sky Addiction Treatment Center located in Stephenville, Texas. Our alcohol addiction treatment center has been helping men and women for over 34-years recover from alcohol addictions. Summer Sky utilizes evidence-based treatment in all its addiction treatment programs. Summer Sky offers medical detoxification (Detox), Inpatient Alcohol Treatment, Residential Alcohol Treatment, Partial Hospitalization Programs, and Intensive outpatient programs in Stephenville and Dallas, Texas. Alcohol Addiction Treatment Centers are for people that cannot or will not stop their alcohol use without help from an alcohol addiction treatment program. Many of these men and women have become physically or psychologically dependent on the alcohol they have been drinking. Some people may need help from a professional interventionist to encourage them to enter treatment. If you are a loved one, family member, friend, or employer that needs help convincing a person to seek help for their alcohol problem in an alcohol addiction treatment program then contact our admissions department to discuss the intervention process and how it works. It is wonderful when a person reaches out for help and takes full responsibility for their alcohol addiction and then seeks help from an alcohol addiction treatment center. However, in some cases the denial and resistance to seeking help in some people are severe. The alcohol obsession and addiction can sometimes block a person from seeking the help they need. Professional intervention can be the catalysis that motivates the individual to get help. Professional Interventions are very effective in motivating a person to get help. Consider using a professional interventionist if you are having trouble getting a person to seek help. Contact Summer Sky at 1-888-857-8857 for information on how to obtain a professional interventionist. People that have an alcohol use disorder can experience many different alcohol consequences as a result of heavy drinking. Keep in mind that despite personal and family consequences, of which the drinker may be aware of in their lives an alcohol addiction makes it virtually impossible for them to abstain from using alcohol. Their need for alcohol often forces them to deny the negative consequences they are experiencing. If you are dealing with this situation, then call the alcohol addiction treatment center for suggestions on finding a professional interventionist who can help you intervene. If your alcohol consequences are too much for you to handle and you are aware of the negative alcohol consequences going on in your life, then contact the alcohol addiction treatment center today for help. Today alcohol addiction treatment centers have perfected treatment for people with alcohol addictions. There are more advances in alcohol treatment programs than ever before in the history of alcohol addiction treatment. Most alcohol addiction treatment centers utilize new medications for medical detox and offer anti-craving medications to individuals becoming sober. These new medications block cravings and help remove the desires to return to drinking. This is a vast improvement to treatment in the past. Some treatment programs test for your body’s ability to metabolize medications that you take or may take during treatment. This new technology allows medical doctors to prescribe the right medication for you and avoid guessing what your body will tolerate or not tolerate. For people that have co-existing disorders along with alcohol addiction, this is a wonderful added benefit to addiction treatment. This new testing is called pharmacogenetics. Pharmacogenetics helps with medications prescribed for substance use disorders, behavioral health disorders, cardiology, pain management, and oncology to create truly personalized care with medications. One element of providing addiction treatment is being surrounded by others that understand what you are going through with your addiction recovery process. The added benefit of being around people on the same journey toward recovery is helpful. 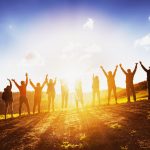 Alcohol addiction treatment programs take the element of social climate to new levels. Peer support is valuable during the treatment experience and allows a person to feel comfortable learning how to express themselves sober without alcohol. Humans are social beings, and residential treatment programs help with increased interaction with others during treatment. There is something special created by being around others that understand and empathize with where you are at in the addiction and support you in your recovery process. When people desire to become sober from alcohol, it can feel hopeless not being able to stop drinking. However, with the help of an alcohol addiction treatment center, this abstinence reality can be achieved. The first aspect of treatment is to become separated from alcohol and seeking help from an alcohol detox program is important especially for those that are physically dependent on alcohol. A person addicted to alcohol will require medical detoxification to become separated from the alcohol safely. Alcohol Detox for those that have become physically and psychologically dependent on the drug alcohol is critical to their success in sobriety. 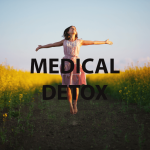 Once medical detox is achieved then abstinence and further treatment in residential treatment is the next step in the recovery process. Abstinence alone is not treatment; however, it is a great first step to learning how to maintain sobriety, and the Alcohol Addiction Treatment program is designed to show a person how to stay sober once abstinence is achieved. When someone is dealing with an alcohol use disorder, a treatment center will focus on helping the individual identify any problematic patterns of alcohol use. The treatment Center will help an individual discover significant areas of one’s life that have been impaired by alcohol use. Many people consume alcohol in larger amounts than they had desired. Helping men and women find solutions for their alcohol use disorders is exactly what an alcohol use disorder treatment program will provide at their treatment centers. Summer Sky is a nationally recognized alcohol addiction treatment center that is licensed by the State of Texas to offer alcohol use disorder treatment. Summer Sky is honored to be accredited by The Joint Commission and approved as an in-network health insurance provider for almost all insurance companies in the United States. If you or a loved one needs alcohol or drug addiction treatment contact Summer Sky at 1-888-857-8857 and one of our addiction specialists will answer questions or arrange an admission into one of our treatment programs.